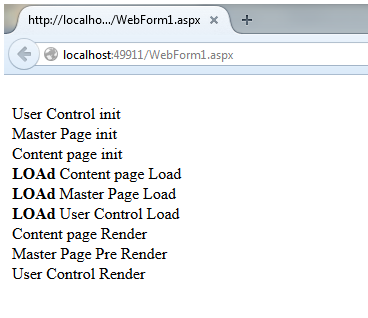 Implementing Init, Load and Pre-render event of Master page. 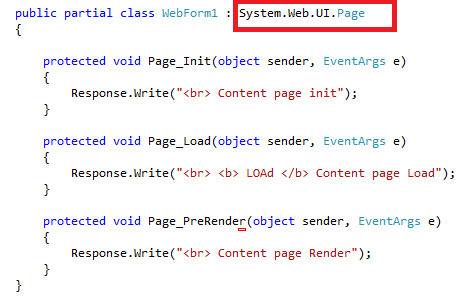 Implementing Init, Load and Pre-render event of page. 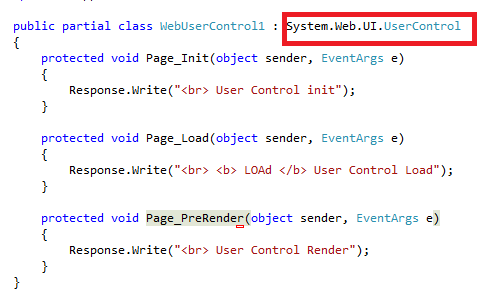 Implementing Init, Load and Pre-render event of User Control. Run Your application and see the content written in the pages into Browser; You can easily identify which will call into the sequences. Which vents will call the first between Master Page, Content page and User controls.